The premier condos setting the standard for luxury in the area, these new units combine the best views in Manuel Antonio with the finest of first world luxuries including the finest finishes, privacy, security, and of course, premier location. 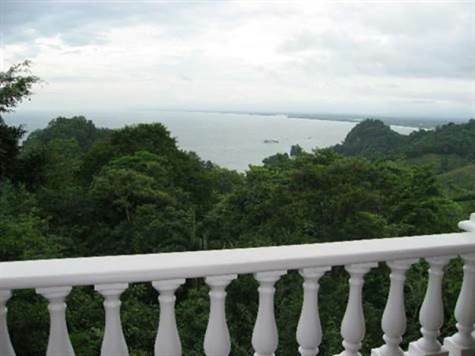 The complex is located at the peak of the hill offering the highest viewpoint in the area, overlooking the pacific and lush tropical forest of Manuel Antonio. Pacific Colonial consists of 10 2 and 3 bedroom units, with central air conditioning, vaulted ceilings, custom windows, handmade hardwood doors, custom cabinetry, brazilian granite, built in appliances, Italian porcelain floors, elegant ceiling fans, prewired for cable and high speed internet, stained glass windows, Jacuzzi tubs, and more. This particular three bedroom unit is being sold for $100,000 under the original purchase price and the owners are offering some seller financing options as well. The unit is only one o a handful which is actively being rented in the complex and has a very solid cash flow history making for an idea personal and investment use mix.